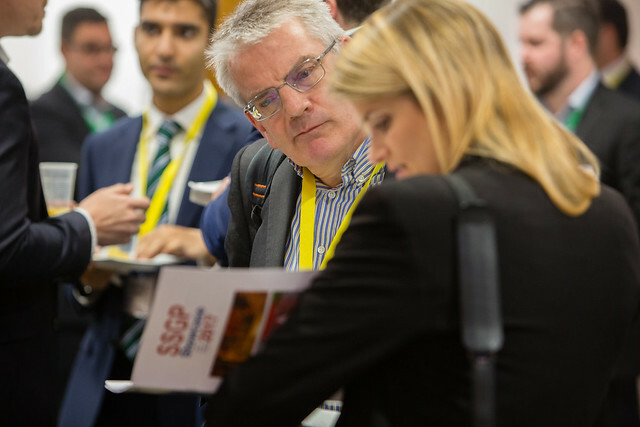 On the 23rd November 2017 the Space for Smarter Government Programme hosted its third annual showcase event at the BEIS Conference Centre, London. Building on the success and feedback received on our 2016 showcase event , this one-day event was designed to enable face-to-face discussion, encourage debate, highlight some current public sector policy challenges and expose new opportunities (including existing operational services, new data sources and funding). The day also provided a forum for sharing the latest results from the most recent SSGP funding call (SBRI Phase 2) and an opportunity to share some of the benefits being realised by previous projects supported by the programme. After receiving a comprehensive welcome pack and networking in the Exhibition Area over a coffee, the 100+ attendees from the public sector, industry and not-for-profit organisations came together to hear the latest sector context and presentations, panel debates and participate in Q&A sessions centred around three strategic themes: Environment, Infrastructure and Disasters.